OmniPeek network analysis software is Savvius's award-winning solution for monitoring, analyzing, and troubleshooting networks of all kinds. As its name implies, OmniPeek has been designed to provide comprehensive visibility into network traffic: local and remote, wired and wireless, and networks of all speeds. To be effective, network monitoring should provide a comprehensive understanding of network health for all network segments, wired and wireless, under management. 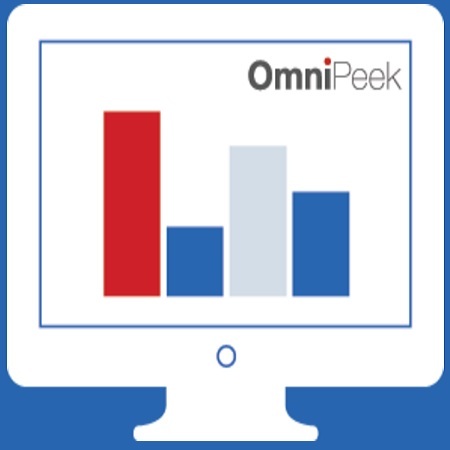 OmniPeek provides that comprehensive understanding for IT engineers in enterprises and SMBs. OmniPeek serves as a "single pane of glass" for monitoring local networks, remote networks, the NOC, branches offices and other locations, and both wired and wireless networks (including 802.11ac WLANs). OmniPeek Enterprise, our flagship version of OmniPeek, supports local packet capture and also serves as a console for remote Capture Engines distributed across the network. It enables IT engineers to monitor any network segment, viewing both long-term trends and up-to-the-minute packet captures for detailed investigations.